We know that many of our CFD customers are also very passionate about aerodynamics and aircraft design, so it stands to reason that the 2013 Australian International Airshow will be a magnet for both aircraft enthusiasts and CFD practitioners alike. The Australian International Airshow starts today (Feb 26th 2013) and LEAP Australia staff will be attending as part of the Victorian Government Stand, which is located in Hall 2, Stand 2F17. If you are also attending the Airshow during the trade sessions this week (Tuesday to Friday), please drop us a line and we'd relish the opportunity to arrange a meeting and discuss your current CFD projects. Once reliant on physical testing for research and development, the aerospace and defence industry pioneered computational methods to gain insight and trouble-shoot performance issues that were observed during physical testing of both production and conceptual designs. 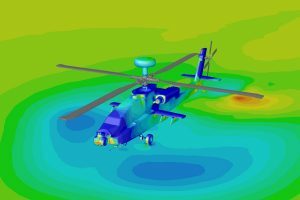 In the past decade, the fidelity of CFD simulations has increased further to the point where the effect of very small incremental changes in a design can be confidently captured with great accuracy and reliability. 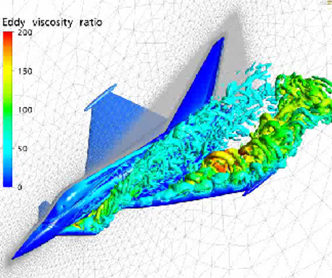 For example, CFD is routinely used to optimize cruise, take-off and landing aerodynamics for all new aircraft designs. This has allowed the aerospace and defence industry to gain further benefit from CFD by focusing on building more efficient, lighter, stronger, safer and more survivable aircraft and related systems. The use of CFD is also expanding to include seamless coupling between CFD and Structural / Electromagnetics tools as engineers are increasingly looking to include a wider range of real-world physics in their simulations. • Designing common platforms that can robustly serve multiple mission types across all domains (land, sea, air). • Improving the capability of aircraft to deal with all-weather flight, increased payload weight, speed, endurance, survivability and refueling. • Payload capability is being continually increased due to evolution of technology for advanced sensing, autonomy, swarming and teaming, electronic warfare systems and delivery of medical cargo. • Adapting research and product development strategies to work within constrained fiscal environments. 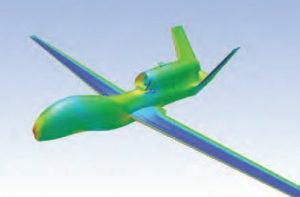 For more information on the use of computational tools such as CFD to aid in the design of unmanned aircraft systems, please click here to download this White Paper from LEAP Australia's main website.